has a chance to know and follow Jesus Christ. These two photos were taken exactly one week ago today while our Cru Omaha staff team was in Colorado for our every-other-year Cru Staff Conference. Although most of our time was spent in meetings with all of the U.S. based Cru staff (nearly 5,000), we also had some sessions with just the Cru High School staff. 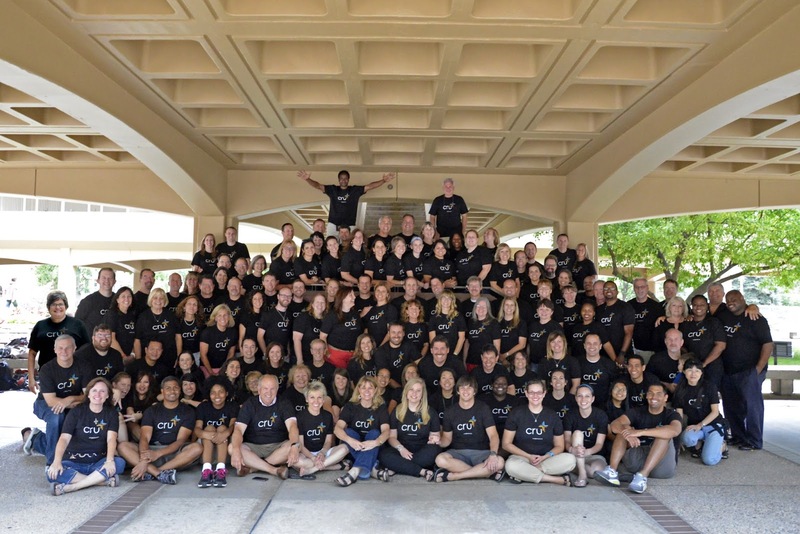 The ministry within Cru that is focused on reaching middle school and high school students. Besides the staff pictured here (and there are some staff who are missing from the photo), there are many, many volunteers who come alongside us in this mission. On our Cru Omaha team alone, we have about 25-30 volunteers who work together with us! 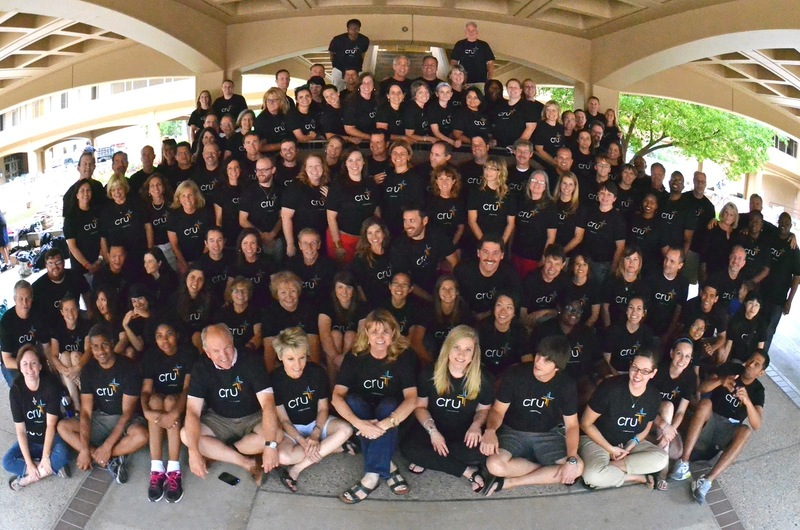 Wouldn't it be fun to have a photo of all of us together - staff, and also volunteers, from each city where Cru High School is active? We are so thankful to be part of the mission of this Cru High School team. Our leader, Darryl Smith (to the very right in the photo) was with us here in Omaha this past spring for a few days of school assemblies. We are grateful for his leadership, always pointing us to Jesus and following Him as our First Love. And all else will flow from this as we reach out to students. Every other summer we travel to Fort Collins, Colorado, to join thousands of other Cru staff for 7-10 days of learning and training. This year our whole staff team was able to be there - and we met for a lunch together on the first full day of staff conference (see photo below). 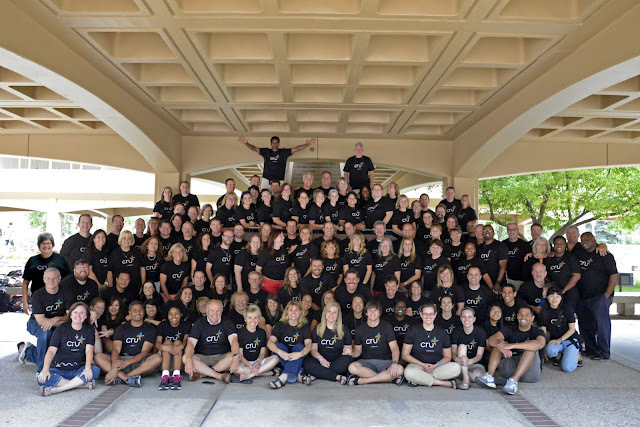 Staff Conference (on the campus of Colorado State University) was divided into two main sections: several days with Cru High School staff together (about 300 of us from across our nation) ... and then six days with all of Cru staff together (about 5,000!). There are many different ministries under Cru - ministry to high school students, college students, to families, military, inner city, teachers, businessmen and women, Jesus Film ministry, and many more categories. What an amazing time to all be together to learn and grow together. Our whole time together was a very rich time of listening to our leaders, and other speakers who were brought in, attending afternoon seminars covering a wide variety of topics (all so helpful for life and ministry), and connecting with and learning from other staff. We as a staff team are taking home many insights and ideas from our time together, and we thank God for this very valuable time together. We will be processing all that we learned and will be integrating it into our hearts and minds in the days and weeks ahead. Of primary importance in our time together (as is true of all of our staff conferences) is that we are pointed to Jesus first of all, and encouraged to follow Him as our First Love. Above ministry, above anything else - for everything will flow from Him as we follow Him. Each June hundreds of students gather at the beautiful YMCA of the Rockies for the Cru Getaway conference. We were granted a medical leave for several weeks in June (to help a family member going through a difficult medical situation in Ohio), and Debi is on MPD leave this summer, raising needed funds for her staff account. So we relied totally on our two part-time staff guys, Jake & Andy, to transport our students to this conference. (Thanks, Jake & Andy!) They were accompanied by Clay, a local youth pastor. 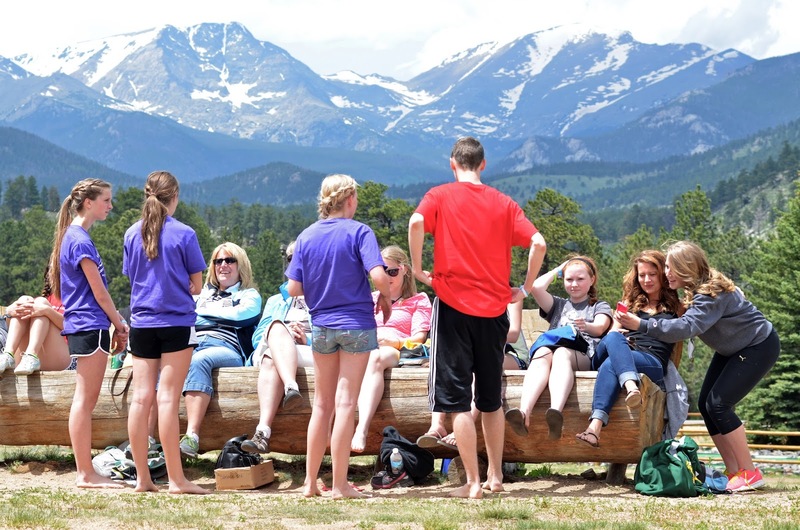 Our students joined other students from our region for an amazing, impactful Getaway at the foot of the Rockies near Estes Park. The students met for great worship times, inspiring teaching, and also for smaller training seminars - all focused on helping them grow in their personal relationship with Jesus, and then in equipping them to make an impact on their campuses back home. 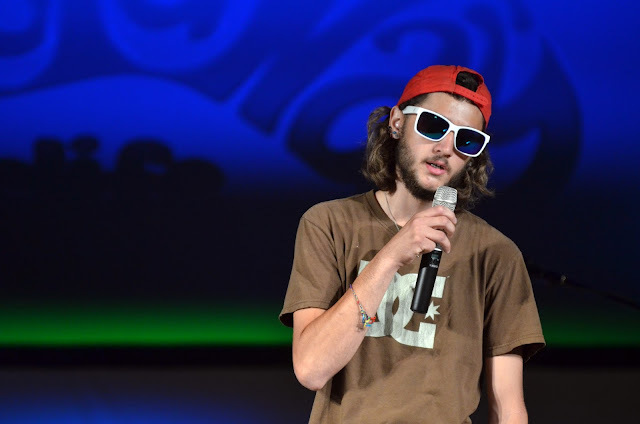 In one of the main sessions, one of our students, Allen (photo below), was given the opportunity to share his story of coming to know Jesus. From a tumultuous background, Christ has made a huge difference in his life - and now, Allen is active in sharing his faith with his peers at Omaha South High. We thank God for the growth in our students' lives from attending the Getaway. Jeremy (pictured below), one of our Cru Fort Calhoun students, was one of those who was greatly impacted by the speakers and training sessions. Please pray for Allen and Jeremy, as well as all the other students who were at the Getaway - that God will continue to use the lessons taught there in their lives ... and also in other students' lives as they hear what God did during that time. Thank you for your prayers that make all of this life-change possible. All praise to God for His work in the lives of students! Each spring, our Cru students from Blair and Fort Calhoun gather to celebrate the completion of another year of schooling, and another year of meeting together as Cru students. This year the celebration took on the form of a paintball event. Todd & Angela, staff members in the area, opened up their spacious country home and yard for our event. We're thankful for Andy & Jake, part-time staff members, who passionately lead the Cru Blair group, and for Debi (full-time staff), and Jared (volunteer) who work with Gary in the leadership of Cru Fort Calhoun. Both groups have had a great year with significant spiritual and numerical growth. Please pray for our staff, volunteers, and student leaders, as we gear up for another year of impacting students on these two campuses. Memorial Park in central Omaha was the location for an event for Central High students in mid-May. Our three student leaders (photo below), working together with Gary, planned this event in preparation for kicking off Cru at Central high this coming 2013-2014 school year. And together with some FCA leadership at Central, we brought in Josh Jones, a well-known former Central High and also Creighton athlete. God is at work in drawing students, as well as volunteers, together to open up this campus for Cru in the 2013-2014 school year. Please join us in praying for many students to come to know Jesus this coming year, and for all the various ethnic groups on campus to be impacted for eternity. Central High is the largest campus in Omaha, as well as in Nebraska. 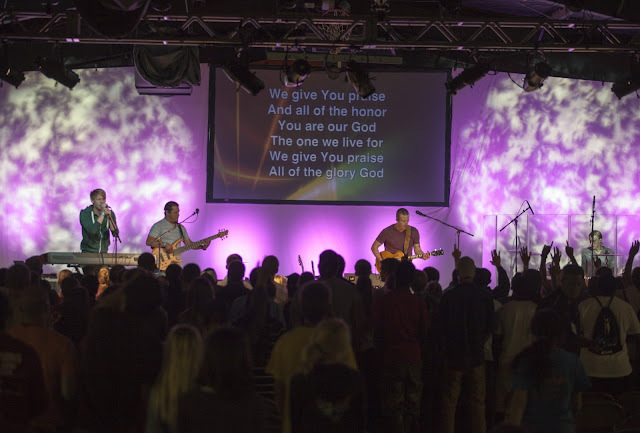 Click here to read more of how God has been opening up the doors on this campus. We thank God for Drew, Ethan, and Ryan - and for all the other student leaders, and also adult volunteers whom God is drawing together to be part of the team that He will use in reaching many students on this needy campus. Please pray for this mission field, right in the midst of the city of Omaha. May was a month full of graduations and open houses - especially busy for our staff team. Working with high school students means that every year groups of our students graduate, and move on into their college years. We pray that they are more fully equipped for all that life holds for them. And we thank God for the incredible opportunity that we have had to build into their lives, and for many of them, to actually have been the ones whom God has used to draw them into a personal relationship with Him. One of these graduations was in Fort Calhoun, a small town just north of Omaha. We have been part of a vibrant, growing Cru ministry focused on students at Fort Calhoun High. And as the graduating seniors came in the auditorium for their graduation ceremony, we took photo after photo of those who have been an integral part of Cru. Going through the names in the program, we discovered that about one third of the graduating class have been part of Cru at some point in their high school years. We are so grateful for the student leaders who have played a big part in what God has been doing on this small town campus. One of the main student leaders for our Cru movement in recent years was one of the graduates this year. 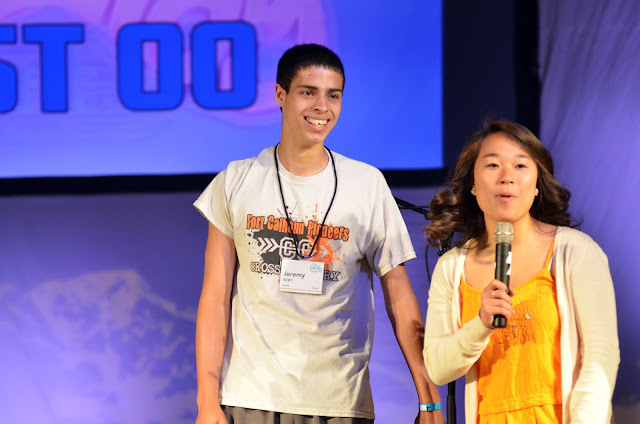 We will certainly miss Josh (in photo above) as a student leader this coming year. But, as he will be attending college in the area, he hopes to continue on as a Cru volunteer for the 2013-2014 school year! Please pray for each of our Cru student graduates - from Fort Calhoun High, and also from all the other Cru campuses in our area - that they will continue to grow in their faith, and that they will connect with others on their college campuses who are also desiring to make an impact for Jesus. Most of our Cru High groups center around senior high students, but a few are focused on middle school students. Our newest middle school group started up this past school year, focusing on students from Blair Otte Middle School. Joy Curry, a mom of a middle school student herself, approached one of our staff members about a year ago, sharing her desire to be a volunteer with Cru High. This past school year she has faithfully and passionately been leading a group of Blair Otte Middle School students. These students are being encouraged and challenged in their faith, and have chosen to even continue meeting throughout the summer. We thank God for Joy and her love and leadership of these students. Please pray for each student who has been part of this Cru group, and for many more to be drawn to Jesus through this coming school year. The middle school years are very impactful years. This past spring these students joined our senior high students at the Blair YMCA to hear our National Director, Darryl Smith, share from his heart about how each of them, as students, can make an impact on their campuses. One of the middle school students was in tears at the end of Darryl's talk - and shared with one of our staff members how he was broken for his peers, and desired for God to use him to make on impact on their lives. Please pray for this student, and for many others who are growing in their faith, and are wanting to make a difference.